Lerida's unique winery perfectly accommodates the flow of the wine making process from crushing to fermentation to barrel storage and finally, to cellar operations. Visit Lerida Estate and sample cool climate wines to suit all tastes and budgets. Buy wines from the cellar door or by mail order. Lerida is perfect for a casual visit or your function. The vineyard is planted with Pinot Noir, Chardonnay, Pinot Gris, Merlot, Shiraz and Viognier grapes. 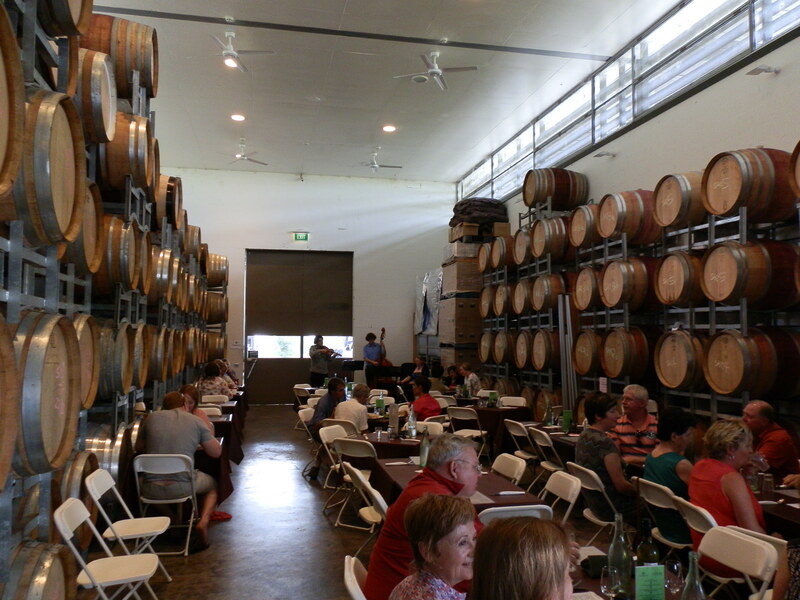 Lerida’s unique winery was designed by Glenn Murcutt. The spectacular building perfectly accommodates the flow of the wine making process from crushing to fermentation to barrel storage and finally, to cellar operations. Lerida Estate was established in 1998 on the shores of Lake George. Get directions to Lerida Estate Winery on Google Maps.